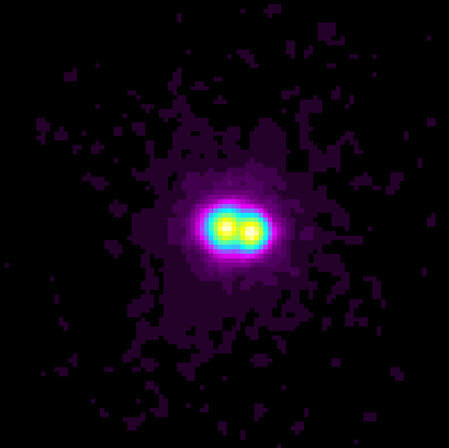 Chandra's image of a puzzling X-ray source in the globular star cluster M15 shows that it is not one neutron star binary system, but two neutron star binary systems that appear so close together (2.7 seconds of arc) that they were indistinguishable with previous X-ray telescopes. In the 1970's astronomers discovered one neutron star binary system in M15, called 4U2127, with the Uhuru X-ray satellite. Subsequent data from X-ray telescopes indicated that the neutron star itself was not directly visible in X-ray light because it was hidden by an accretion disk of hot matter swirling from a companion star onto the neutron star. This picture was put into doubt when the Japanese Ginga X-ray satellite saw luminous X-ray bursts from the region in 1990. The length of the burst and other light characteristics implied that the surface of the neutron star was directly visible, in contradiction with earlier observations. Chandra observations solved this mystery. The source could exhibit two contradictory modes of behavior because 4U2127 is not one source, but two: one whose neutron star is hidden by an accretion disk (on the left in the image), and one (right) where occasional X-ray outbursts reveal another neutron star's surface. The broader implication of the Chandra discovery is that binary star systems with a neutron star orbiting a normal star may be common in globular clusters. Previously, and inexplicably, astronomers had never seen more than one of these neutron star binaries in any one globular clustera tight spherical region that can contain a million stars or more. 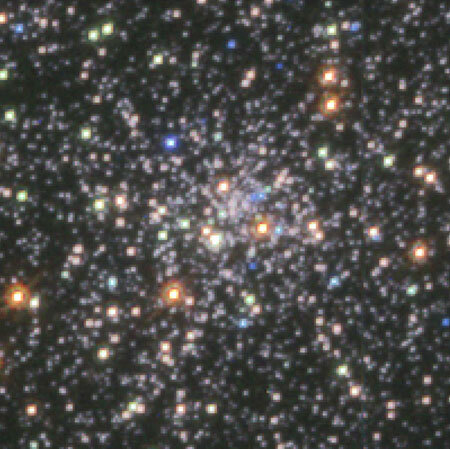 Coordinates (J2000) RA 21h 21m 58s | Dec +12° 10´ 00.02"